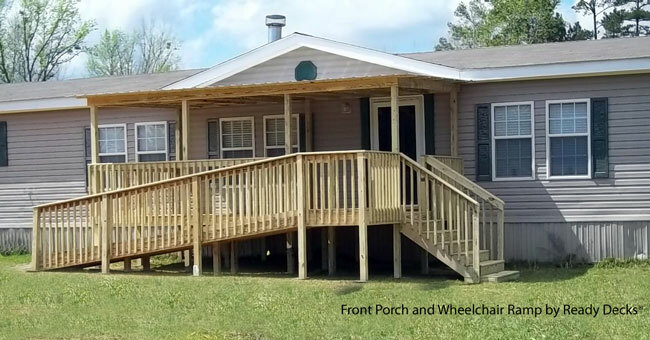 Ready Deck's® affordable porch design ideas makes it easy for almost anyone to add a curb appealing front porch to their conventional home, manufactured, or mobile home. 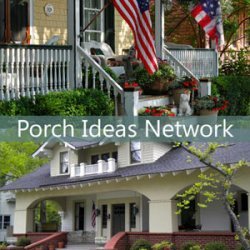 Mary and I are very excited to bring you porch ideas by Bradley Johns, owner of the Ready Deck Franchise Systems® out of West Monroe, Louisiana. Started in 2001, his Ready Decks has built over 9000 decks and porches company wide. Here you can get affordable porch design ideas. 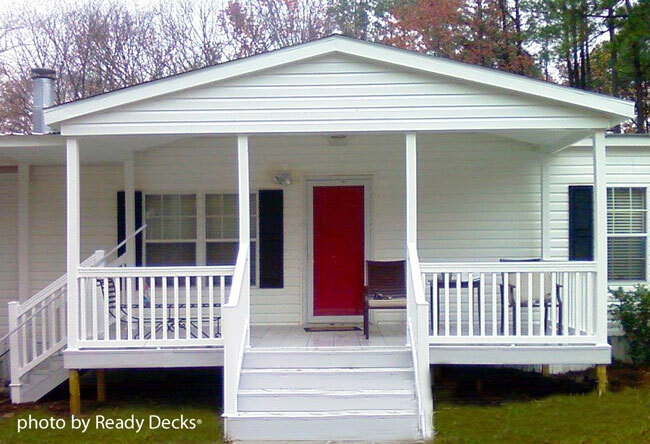 Bradley states: "The original concept for Ready Decks ® was to make decks and porches affordable for the average working class. I think we've been successful at doing just that. I created a system for building decks so instead of building each deck or porch from scratch we actually have a product we erect. 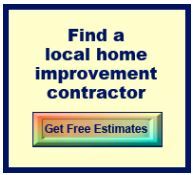 By doing so, we can build quality porches at minimum costs for the customer." 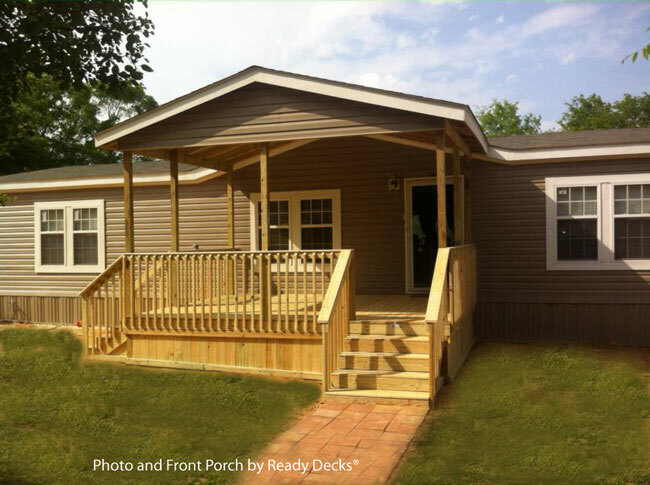 Ready Decks® makes it easy to have a wonderful front porch upon which to begin creating memories - or just for relaxing and watching the world go by. Mary and I really enjoyed our time with Bradley and have included segments of our interview below that may give you porch design ideas for your own home. 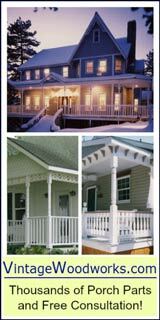 Affordable porch design ideas do not mean less quality. By streamlining the process, creating specials tools, and working on site with a proven system, Ready Decks® can deliver a nice product. MARY: Are the materials you take to the job site pre-constructed for the project or do you build on site? BRADLEY: We have a standard building system and a few special tools that allow us to work very efficiently. So everything is built on site as part of a process. 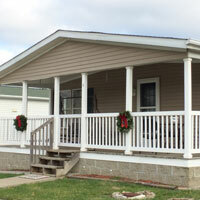 DAVE: What are the main things I need to know if I want a porch added onto my manufactured or mobile home? 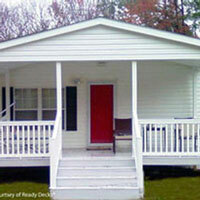 Bradley: Building a porch on a manufactured home versus a site built home is really not a lot of difference for us. We never attach the porch to the existing structure. Everything we build is self-supporting. On a manufactured home you definitely want to make sure that you're not supporting it with the home. You may or may not know what's behind the siding and you can invalidate the warranty if you start tearing siding off and try to attach the deck directly onto the home. 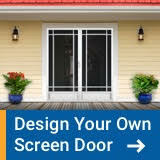 DAVE: What are some design considerations people need to know when selecting or having their porch built onto their home? BRADLEY:It is a proven fact that people find symmetry to be beautiful. So a natural thought for someone is to center a deck or porch, center the door, and center the steps. It looks nice and balanced. However, you can actually add a little more interest by not centering the door or steps. From a user standpoint the placement of your porch and your steps is extremely important to maximizing the use of the space. 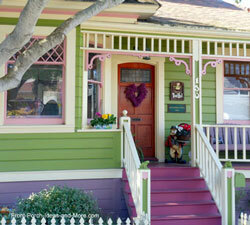 For example, your porch is 16 feet wide, centered on the home, along with centered front steps. By doing so, you are going to cut that porch totally in half. alculating a four foot wide path of travel to the front door down the center of your porch, you have just reduced it to six feet on one side and six feet on the other. Now you take that same 16-foot wide porch that is positioned off-center to allow the steps to be on one side, you maximize the space on the other without cutting your porch in half. If you put the steps on either side of the porch you may take out six feet of that corner but you're left with a good 12 to 13 feet to the other side. DAVE: That is really important because we have seen porches where they are split down the middle and you really can't use your porch as well as you could. MARY It's kind of like you have two small sections instead of one larger outdoor space for your furniture. BRADLEY: Exactly. You also need to build a self-supporting structure. Although you can attach the structure to the home so there's no independent movements between the two and to allow a proper flashing for your roof connections, you don't want the porch's weight hanging from the manufactured home. DAVE: We know you build many wheelchair ramps so folks can access their front porch. What are some considerations people need to know? BRADLEY: Many people have trouble getting around and may have a personal scooter. A powered wheelchair or scooter can use a ramp that is more steep than that required for a traditional wheelchair. Traditional wheelchairs require you meet local building codes. The code states that for every inch off the ground you need one foot of ramp. So you would start by checking the distance from your threshold of your door to the ground and then, of course, you want to design your porch based on how it will sit and where you want the end of the ramp to be. Often people try to get close to their vehicle. It may be that the ramp will end short of the driveway based on the height from the threshold to the ground. In those cases, we make allowances and measure from the threshold to the actual point where we want the ramp to end. It may be the ramp is 30 to 40 feet long. MARY: That's a really good point, but that's quite a bit of ramp. BRADLEY: It sounds like a lot and you know that's the first thing that people say. Wow, that's really 40 foot of ramp! Yes, if you do a straight ramp, it is a lot. Again federal codes give you guidelines that state after 28 feet you have to have a four foot resting area, which makes sense. But oftentimes we get into a ramp that's 30 foot long, we end up doing an L shaped or switch back. Note: ADA requirements only apply to commercial structures, not residential homes. 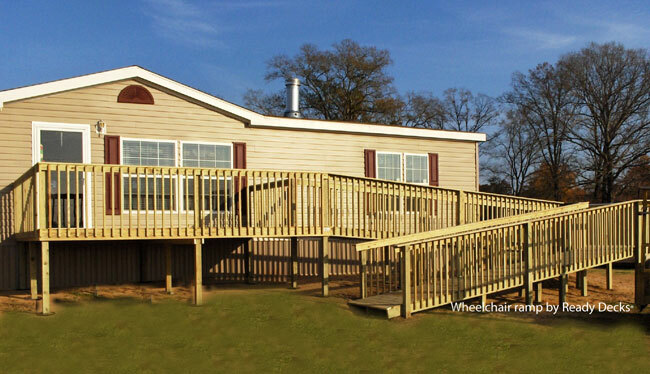 However, it is wise to use ADA requirements when building wheelchair ramps on residences. Check with your local codes department for specific requirements for your geographical area. DAVE: You also do more than just decks and porches. Could you name a few of the other projects as well? BRADLEY: We do open gable porches. We have a signature post and beam gable porch that features tongue and groove and a wagon wheel pattern in the gable or other designs; we've even done crosses. We do tons and tons of screen porches. Naturally in the south we have no shortage of mosquitoes. So on a screen porch you know it is basically is a standard porch, maximizing the room by screening it in. Instead of putting a screen door in the center of the porch it is best if you kind of work a door off an existing post which makes it a lot easier to construct and it also hides that door so it is not just hanging out there in the middle. 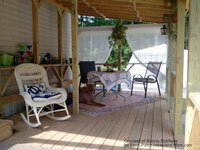 We build stand-alone screen porches on patios or low level decks. Usually you can't really come off the back of the house with a deck. They normally have a little patio, so we construct a screen porch on top of it. We may come back and turn it into an outdoor kitchen. Or customers place their furniture out there. 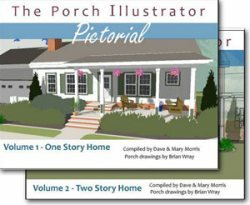 Easy And Affordable Porch Design Ideas - They Have An App for That! MARY: Bradley, could you tell us a little bit about your special "app" homeowners can use on your site? BRADLEY: Sure, we have an app specifically for our customers for use within the franchise. So a person can send us a picture of their home with their smart phone or camera and we can put a deck, a single pitch porch, or our signature gable porch of various sizes on their home. 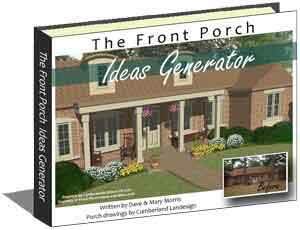 (They can get affordable porch design ideas.) The renderings are good and are authentic to Ready Decks ®. Often times customers just order a deck. 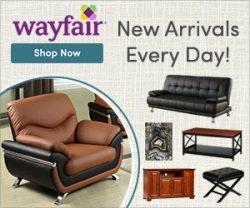 They may want a popular size and they look at the prices and put in the schedule date. We would send them a kit that has yellow flags to mark the corners and blue flags to mark the step locations. We also have premium upgrades and personalized options which is marked by a white flag. We have a one minute video that shows where everything goes. The kit comes with a tape measure so they can go out and measure to ensure they put it really where they want it. They go to work that morning, the crew shows up, they look at the flags, the contract, and the rendering to ensure they all match up. If they match up we build the porch or deck accordingly and they come home to a finished deck. 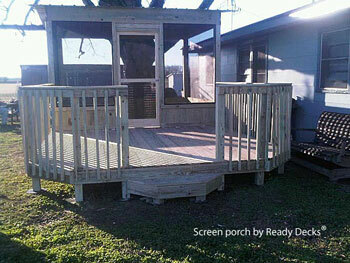 Bradley Johns, the owner of Ready Deck Franchise Systems out of West Monroe, Louisiana began in 2001. 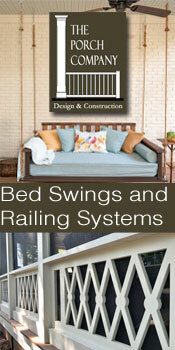 Ready Decks has built thousands of decks and porches with a total sales volume of over four million dollars. 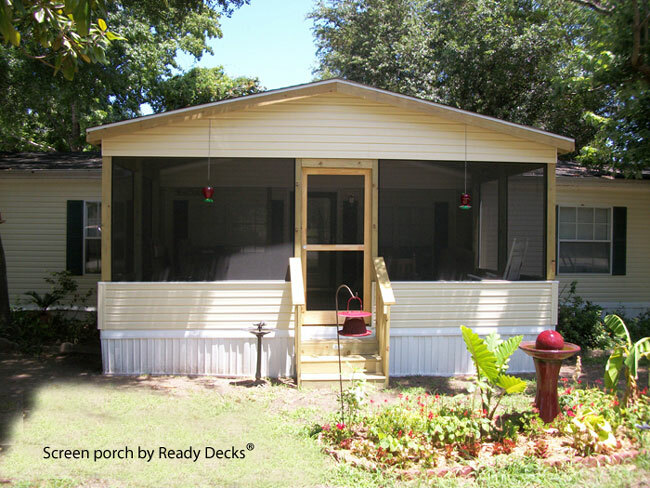 The original concept for Ready Decks was to make decks and porches affordable for almost everyone and they've been very successful at doing just that. They created a system for building decks as a product instead of each deck being custom made. Therefore, Ready Decks is able to do it at a much more affordable cost; affordable porch design ideas. They pride themselves on producing a good quality product for a predictable outcome and a predictable price. 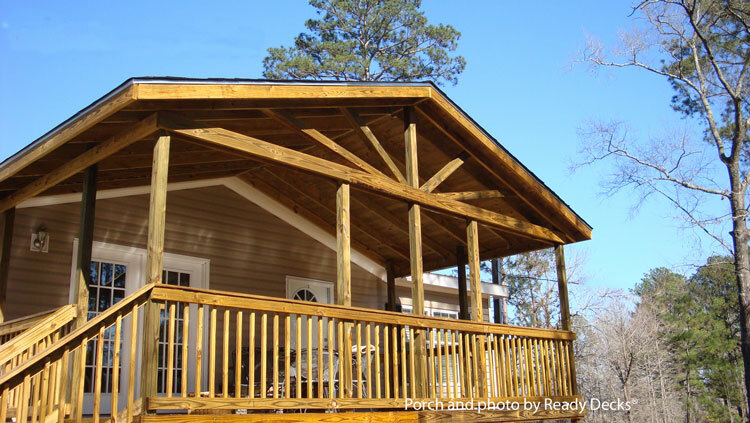 We encourage you to contact Ready Decks to learn more about their porch products, franchise opportunities, and to receive a porch estimate. See these exterior mobile home imporvement ideas for value and comfort.